Birmingham City have the perfect opportunity to move on from their midweek derby defeat to Aston Villa as they welcome bottom-placed Rotherham United to St Andrew’s. Blues narrowly lost out 1-0 to rivals Villa in the third round of the Capital One Cup on Tuesday night. Gary Rowett’s side put in a spirited performance and were comfortably the better team in the first-half and despite Rudy Gestede’s eventual winner, on Tuesday’s evidence, Blues fans can find solace in the fact that the football on show at B9 tomorrow is likely to be of a higher level than that endured by their cross-city counterparts. Rowett employed a more absorbing system at Villa Park with three holding midfielders – though with licence to get forward – sacrificing Jon Toral or Andy Shinnie’s “no. 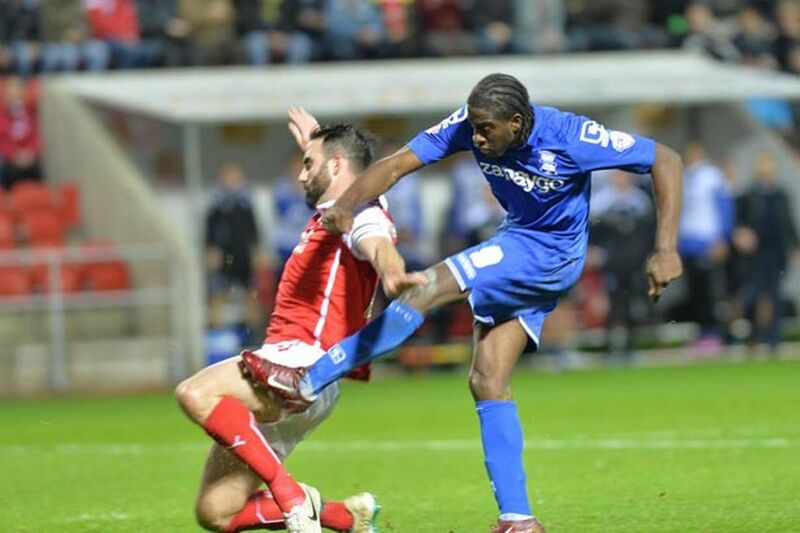 10” role behind Clayton Donaldson. Maikel Kieftenbeld, Stephen Gleeson and David Davis all started but the Blues boss is likely to revert to his usual formation against Rotherham, who are winless away from home this season. David Cotterill was an unfortunate derby day absentee and the winger will also miss tomorrow’s clash as he is yet to recover from a heel injury. His Welsh teammate Neal Eardley is also injured. Visitors Rotherham welcome back Kirk Broadfoot in unusual fashion – the defender has served a 10-match ban for sectarian abuse against James McClean in March. Midfielder Lee Frecklington is a doubt again with a calf injury but Emmanuel Ledesma, Chris Maguire and Danny Ward are back in contention to start. The Millers are chasing back-to-back wins for the first time this season after beating Cardiff City 2-1 last weekend, with Vadis Odjidja-Ofoe on target from the penalty spot before Matthew Connolly’s last-minute own goal. However, Blues are unbeaten in nine matches against Rotherham and boast one of the strongest Championship home records since Rowett’s appointment last October – only Middlesbrough and Ipswich Town have won more games in front of their own fans in that time. Blues will be eager to get back to winning ways in the league tomorrow – the derby was a fine distraction – but the Championship is the priority. « David Cotterill to miss Villa derby?